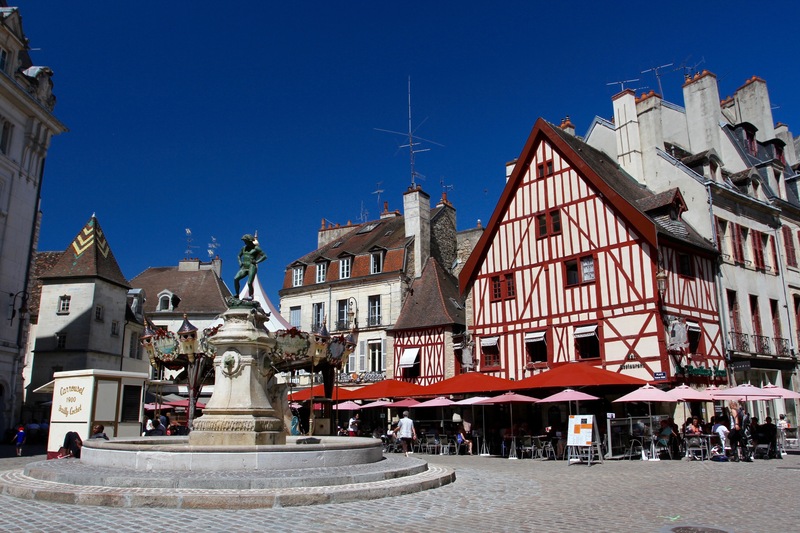 Dijon, capital of France’s Côte-d’Or region, has an extraordinary history stretching back to before the Roman’s ruled Gaul. Yet it’s probably better known to the world as the epicentre of all things mustard. 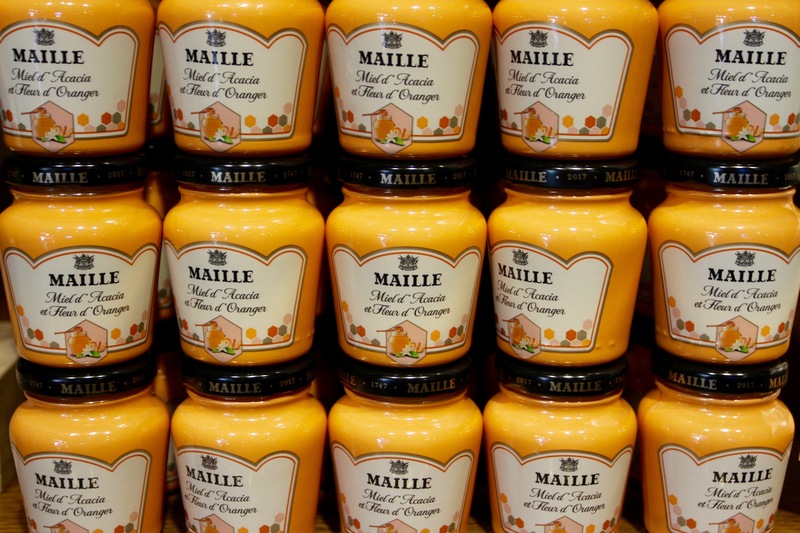 ‘Dijon’ is almost synonymous with ‘French’ when it comes to mustard and, of all the many brands of Dijon mustard, Maille is probably the most famous. 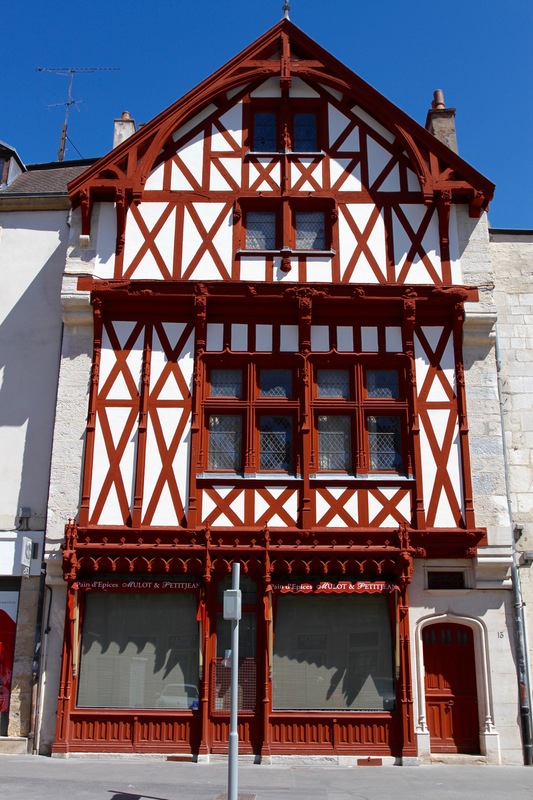 The Maille ’boutique’ in the centre of Dijon has hundreds of different types of mustard, oil and vinegar. You can try them all. 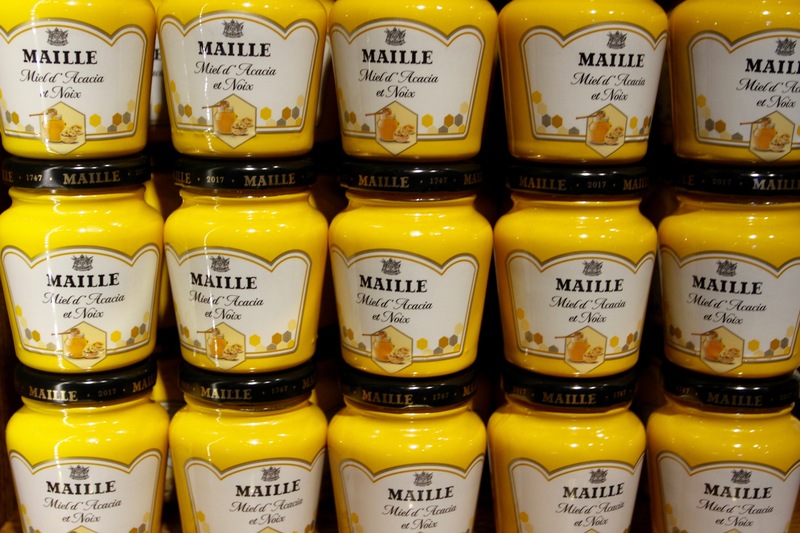 The curious thing about the Maille boutique is that the normal yellow mustard that you can buy everywhere, is about four times more expensive than the same thing in … well everywhere. We sampled a few of their more exotic items – hazelnut, black chanterelle mushrooms and white wine mustard anyone? – and then walked up the road to another shop, where the largest jar of mustard I’ve ever owned was purchased for about a third of the price. If that was disappointing, Dijon wasn’t. We’d arrived at night and were too tired to go out exploring. The next day dawned bright and clear as we set off in search of pain au chocolate and coffee. Dijon looked very inviting in the morning sunshine. 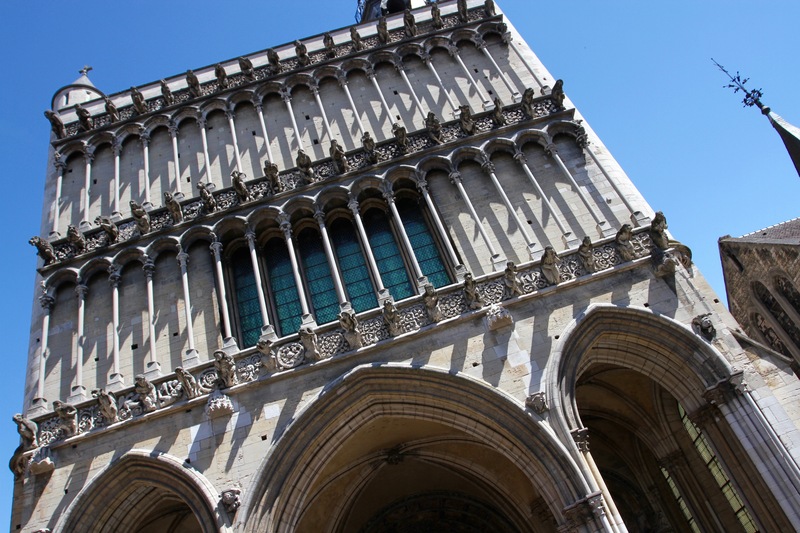 It’s a city with a wealth of history, filled with architectural glories and pleasant public spaces. 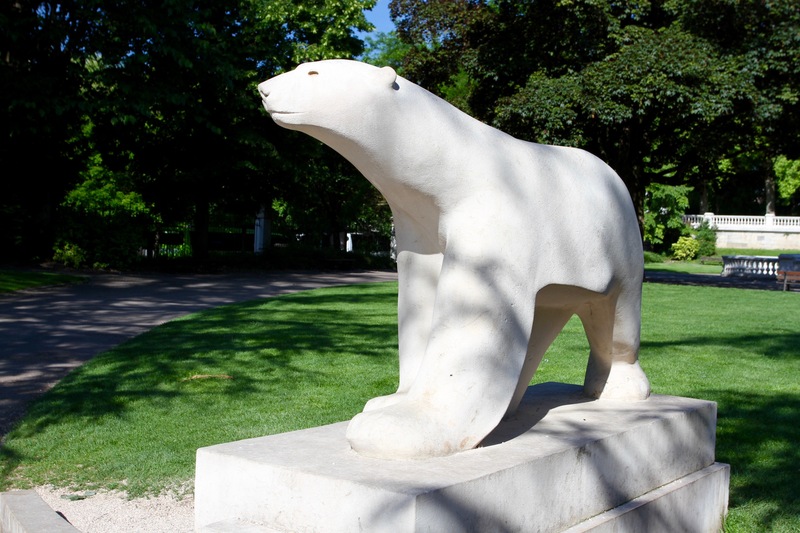 In the tranquil Jardin Darcy, we found an incongruous yet familiar looking polar bear. At least a statue of one. The bear is L’Ours Blanc, a replica of an exquisite sculpture by François Pompon. A native of Burgundy and Dijon resident, Pompon studied fine art here before becoming a student of Rodin’s in Paris. The last time we’d seen this particular polar bear was in the Musée d’Orsay in Paris. 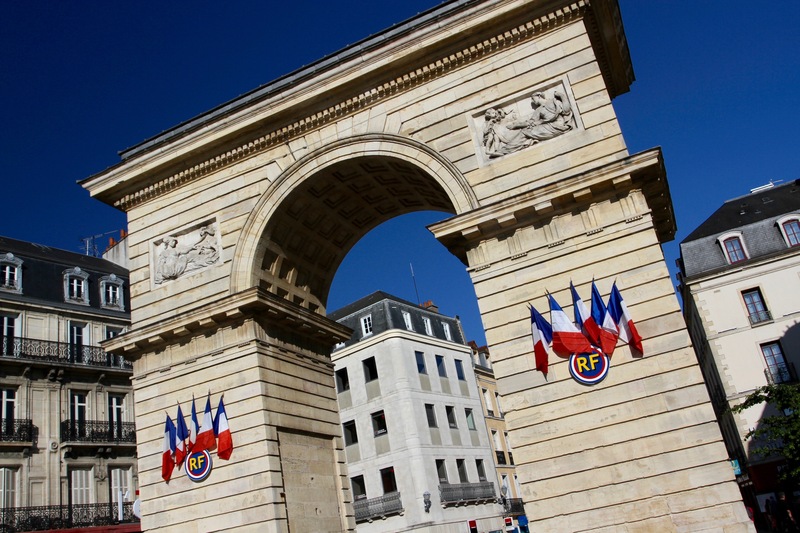 It’s an imposing sculpture that put a spring in our step as we entered the Place Darcy and walked underneath Porte Guillaume, a mini Arc de Triomphe, into Dijon’s historic heart. After a breakfast in the shadow of timber-framed buildings in the Place Francois Rude, we set off to explore the town proper. First stop was the beautiful 13th century Notre-Dame de Dijon, a masterpiece of Gothic architecture that sits at the heart of Dijon’s old town. 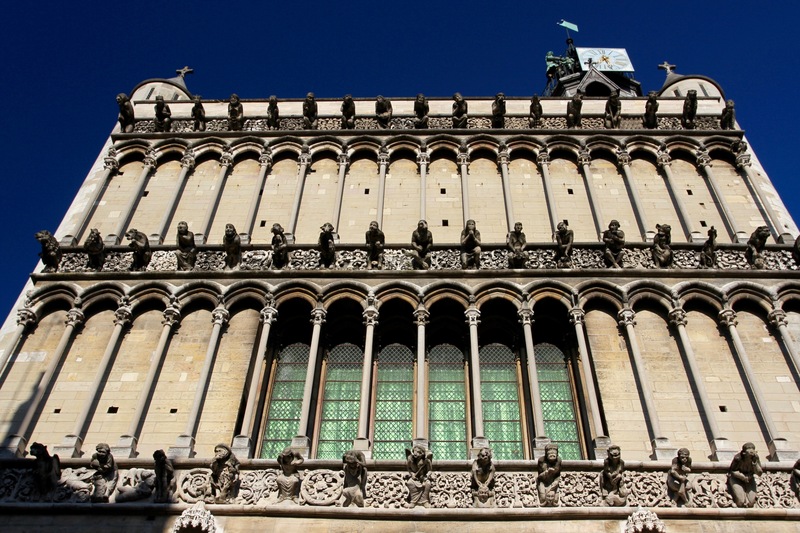 The cathedral’s crowning glory is its unusual western facade, which is home to fifty-one gargoyles. Legend has it that a money lender was killed on his wedding day by a falling gargoyle, a gargoyle of a money lender. Spooky! The interior is home to one of France’s oldest statues of a Virgin, the 11th century Notre-Dame de Bon-Espoir. She’s credited with saving the city from a siege by the Swiss in 1513 and, more ‘miraculously’, in 1944, as the Allies advanced across France, the Bishop publicly prayed for her to deliver the city from destruction. The next day the German forces retreated, meaning the Allies had no reason to attack. In reality, German forces were too weak to defend Dijon, and the withdrawal was tactical. The superstition doesn’t end there. On Rue de la Chouette (Owl Street), is a well worn carving of a bird, thought to be an owl. It’s claimed that good things will happen to those who rub it with their left hand and make a wish. 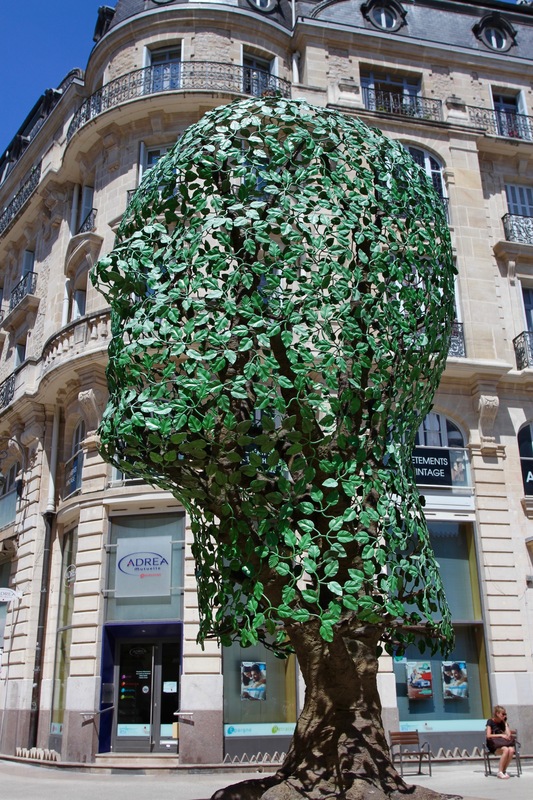 The owl has become the symbol of Dijon, but this didn’t stop some idiot from smashing it with a hammer in 2001. Today, it’s under 24 hour video surveillance and is firmly on the town’s La Chouette tourist trail, marked with brass plaques of an owl. We walked around Dijon’s medieval streets, occasionally following the owl trail, and unearthing some of its history. Many of the oldest buildings have lovely tiled roofs in green, gold and brown. We found our way to the glass and metal market designed by Gustave Eiffel, which was filled with market stalls selling a variety of local produce. It was tempting to buy a lot of food, but a long lunch in one of the many restaurants surrounding the market was too appealing. Dijon is very beautiful. One my oldest friends’ family comes from that region. Thank you for the trip back. 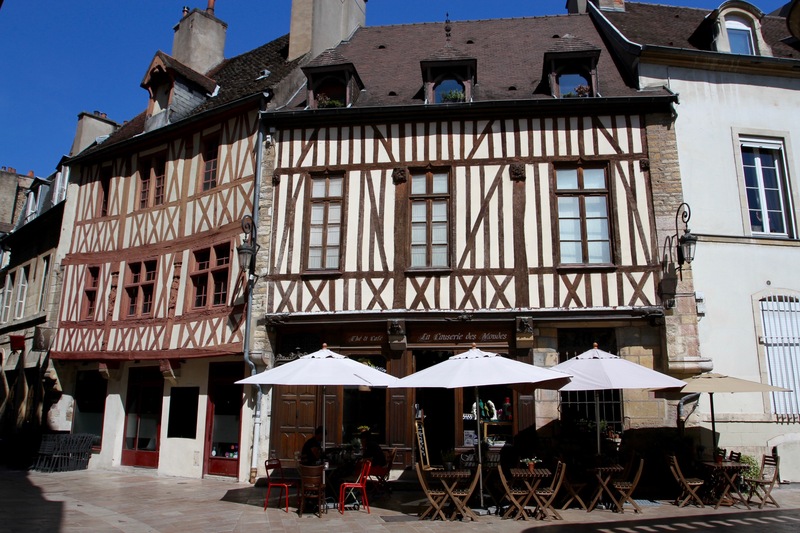 Have you gone to Beaune and its “Hospices”? Hi Brian, good to hear from you. Are you still in Paris or back across the ocean? 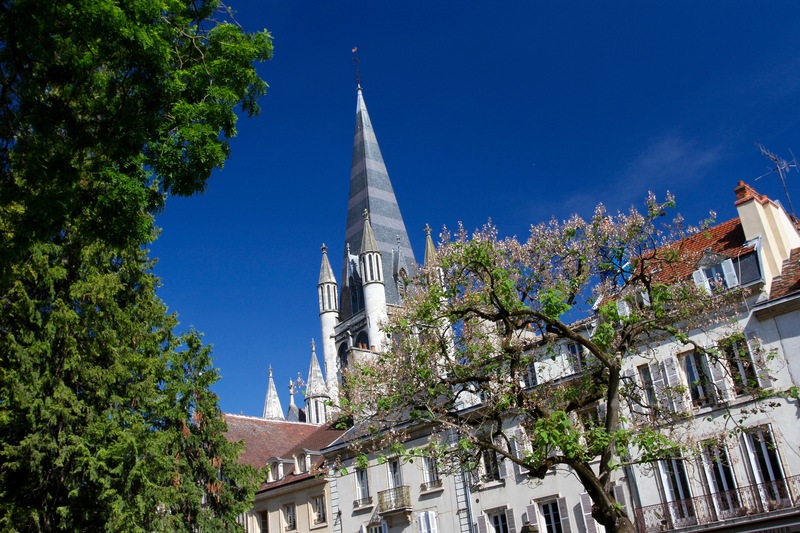 We loved Dijon, such a beautiful place, great food and the wine wasn’t bad either! We did go to Beaune, only problem was there was a queue of about 200 people (I think some coach parties had just arrived) into the big Hospice, and we didn’t visit. Lovely town though, with a real buzz. Hope all’s well? That’s terrible luck Brian. I may have made up for some of the cheese and wine in your absence though! I always thought the French health system was good, I’ll try to avoid getting sick there in future.